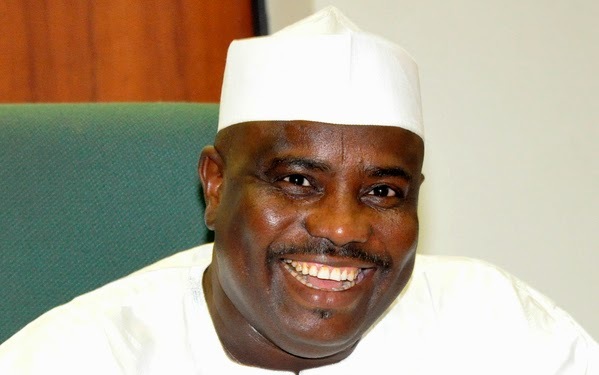 The Nigerian Police Force have withdrawn the security detail of the Speaker of the House of Reps, Aminu Tambuwal, who recently defected from the PDP to APC. In a statement released few minutes ago on their official website, the Police said they withdrew Tambuwal's security because his recent defection flouts the 1999 constitution. "In view of the recent defection by the Right Honourable Aminu Waziri Tanbuwal, CFR, the Speaker of the House of Representatives of the Federal Republic of Nigeria, from the People Democratic Party (PDP) to the All Progressive Congress (APC), and having regard to the clear provision of Section 68 (1) (g) of the 1999 Constitution of the Federal Republic of Nigeria as amended, the Nigeria Police Force (NPF) has redeployed its personnel attached to his office.